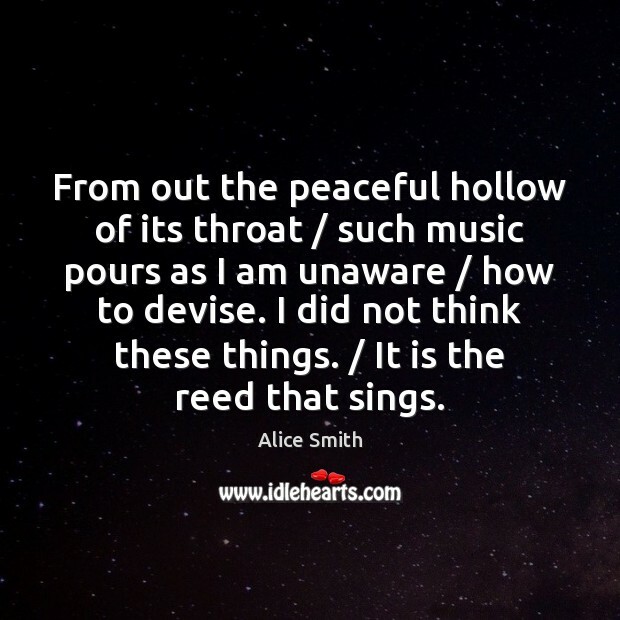 Enjoy the best inspirational, motivational, positive, funny and famous quotes by Alice Smith. Use words and picture quotations to push forward and inspire you keep going in life! 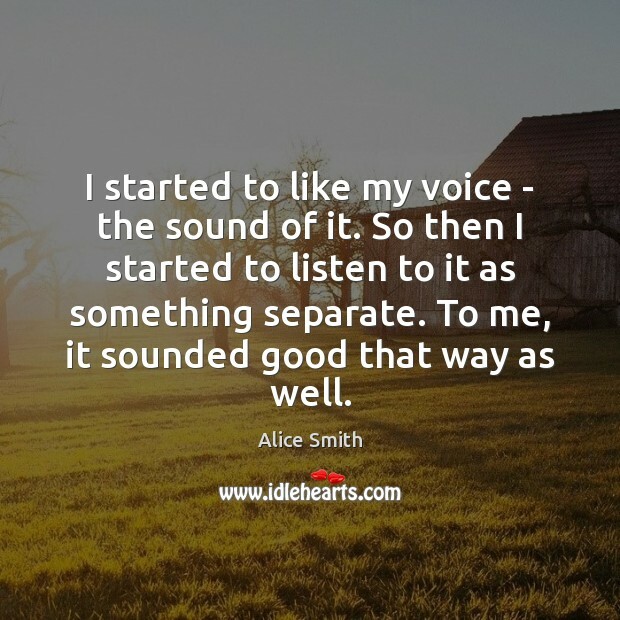 I started to like my voice - the sound of it. So then I started to listen to it as something separate. To me, it sounded good that way as well. 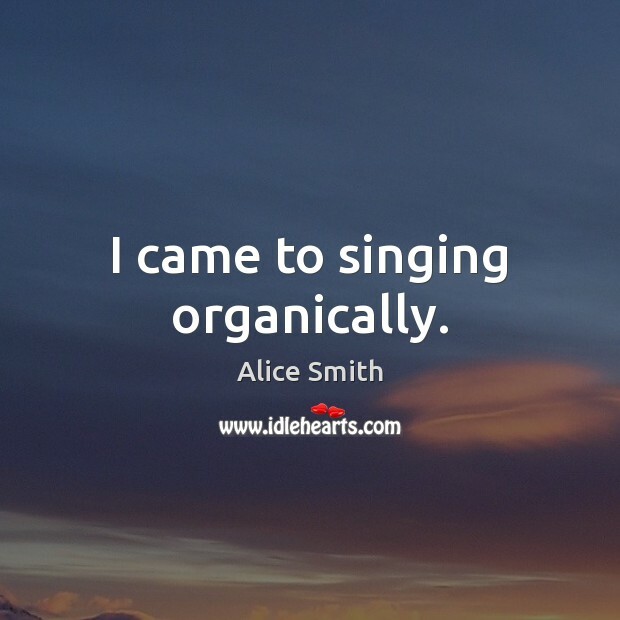 I came to singing organically. From out the peaceful hollow of its throat / such music pours as I am unaware / how to devise. I did not think these things. / It is the reed that sings.